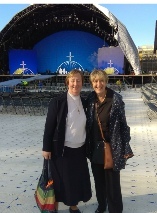 On Saturday 25th August 2018 Pope Francis visited Ireland for the World Meeting of Families. 82,000 people were in attendance. Shortly after the arrival of Pope Francis at the stadium, TV viewers heard the words ‘I hear violins, it must be Sr. Bernadette!’ from host Marty Whelan. 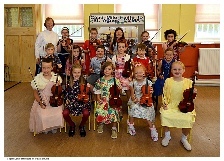 Children from St Agnes’ string project led by Dara Daly played lively tunes accompanying some equally young Irish Dancers. The St. Agnes’ contribution to proceedings continued with the ‘Choir of Ages’ who sang a very moving version of ‘Forever Young’. The cnoir included many young and older members of St. Agnes’ community andwere based in the CCMA as they rehearsed for the recent TV series feature. You can see the choir’s performance with full orchestra conducted by David Brophy here>>. 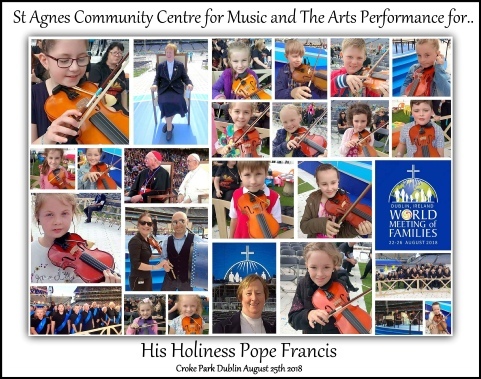 The concert featured some of the most well known and exciting performers in Ireland, and St. Agnes’ CCMA were proud to be part of such a historic occasion. 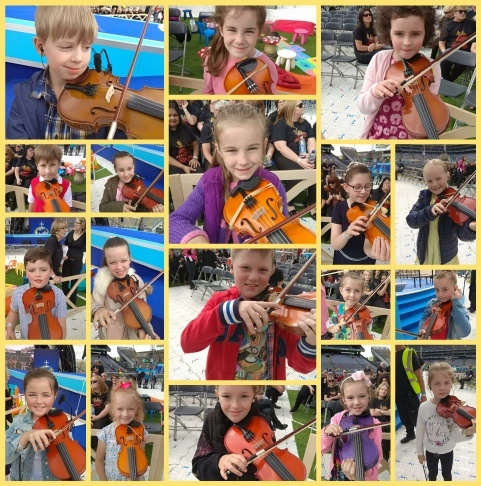 Thanks to Margaret McCabe for the photos and Martin O’Brien for compiling the photo collage.